Half Summer faery princess, half human. Meghan has never fit in anywhere. Deserted by the Winter prince she thought loved her, she is prisoner to the Winter faery queen. As war looms between Summer and Winter, Meghan knows that the real danger comes from the Iron Fey – ironbound faeries that only she and her absent prince have seen. But no one believes her. Worse, Meghan’s own fey powers have been cut off. She’s stuck in Faery with only her wits for help. Trusting anyone would be foolish. Trusting a seeming traitor would be deadly. But even as she grows a backbone or iron, Meghan can’t help but hear the whispers of longing in her all-too-human heart. I didn’t enjoy The Iron King much because of my gripes with Meghan as a character. I find that I liked The Iron Daughter more, but still have issues with Meghan. Here is an intelligent, independent girl whose intelligence and independence leave her when she needs them most. Ash explains to Meghan that they must not allow Winter to discover their feelings for one another. At their next meeting, however, she wants to run and cuddle him. Worse, she refers to him without the proper honorific – he is a Winter Prince after all. Meghan miserably concludes that Ash must have feigned interest in her before. He explained this to you, you daft individual. Once I get past Meghan, and her relationship issues, I realise the idea of the series is pretty good. I like Queen Mab even though she terrifies me. I wonder why the folk of Winter lack compassion – I hope the traits of the two courts are eventually explained. It was interesting to find out more about Ash’s past, to get to know him beyond the hunky, mysterious hero of The Iron King. I can’t understand Meghan’s parents and I hope future books focus more on their relationship with her. 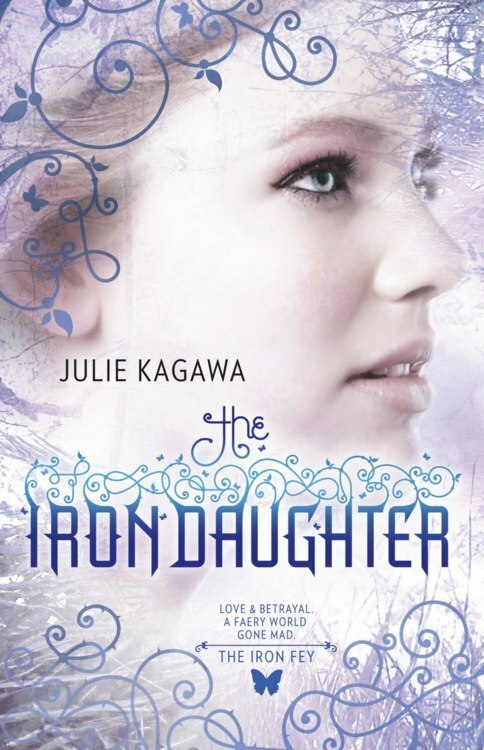 The Iron King had a slight upswing in plot elements and entertainment which encouraged me to pick up The Iron Daughter. I find this is not the case with The Iron Daughter, and I have misgivings about the third book in the series, The Iron Queen. I know there are many fans of the series out there, and I believe I am in the minority, but I still don’t think this series deserves the hype that surrounds it.